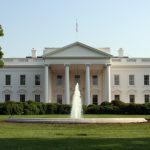 Washington, D.C. – The National Small Business Association (NSBA) applauds the introduction of bipartisan legislation to convene a White House Conference on Small Business (WHCSB) by Reps. Rod Blum (R-Iowa), Stephanie Murphy (D-Fl. ), and Al Lawson (D-Fl.). A top priority for NSBA for years, a WHCSB would enable America’s small businesses to discuss, debate and develop a consensus agenda to drive small-business policy for years to come. There have been three WHCSB, occurring in 1980, 1986, and 1995 which served to develop innovative policy solutions to economic problems and strengthen relationships between the business community, Congress and the administration. The unique format of a WHCSB enables policymakers to gather input from all different types of small businesses representing all regions of the U.S., and does so on a completely nonpartisan basis with very little financial investment. “The success of past White House Conferences on Small Business is unquestionable: of the 60 legislative and regulatory recommendations that were the product of the 1995 Conference, more than 90 percent were addressed in some way, and 20 of the 60 recommendations were enacted into law,” stated NSBA Chair Cynthia Kay of Cynthia Kay and Co.
NSBA looks forward to continuing our work with Congressman Blum as he shepherds this bill through Congress. Please click here to hear from small-business owner Gary Kushner about why this bill is so important. Celebrating more than 80 years in operation, NSBA is a staunchly nonpartisan organization advocating on behalf of America’s entrepreneurs. NSBA’s 65,000 members represent every state and every industry in the U.S. Please visit www.nsba.biz or follow us at @NSBAAdvocate.